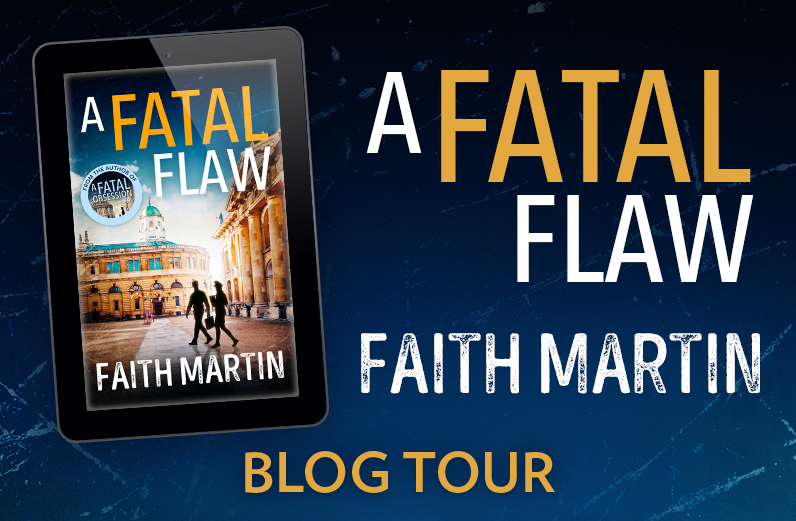 Today it is my turn on the BlogTour A Fatal Flaw by Faith Martin.This is the third book in the Ryder and Loveday series, a cosy crime series with an unusual crime fighting duo. This is the third book in the Ryder and Loveday series, a cosy crime series with an unusual crime fighting duo. Loveday is a probationary WPC and Ryder is a coroner, many years her senior. Loveday has to suffer the misogynistic and sexist attitudes of her male colleagues. She is relegated to making tea, searching female suspects and family liaison. She would rather be at the forefront of crime like her colleagues, which is why she doesn’t say no when a potential crime falls into her lap. Ryder has become Loveday’s inadvertent sidekick, but does so with great pleasure. He is busy trying to hide the fact he has a medical condition, which could end his career. Hiding the physical impairments of his Parkinson’s disease is becoming increasingly difficult, and are being mistaken for alcohol related incidents. The combination of the two of them gives the story a light-hearted and comfortable feel, despite the crime element. Ryder gives Loveday the platform to evolve professionally and Loveday connects with Ryder in an almost familial way. 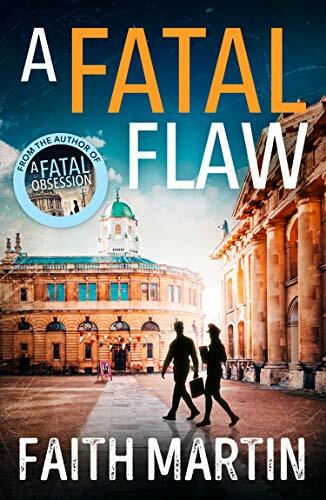 There are plenty of cosy crime books, but what Martin does is slide an element of modern crime in with the easy flow. You get an early Jane Tennison feel, which addresses the difficult aspect of being a woman in the police force, and the discriminatory treatment of people with medical issues and gender inequality. It might seem a strange thing to say about a crime story, but the relationship between Ryder and Loveday gives it a feel-good element, despite the murders. Martin mixes the more nefarious aspects of human nature with an entertaining crime-solving duo. This is what happens when conscience and empathy meets murderous intention. 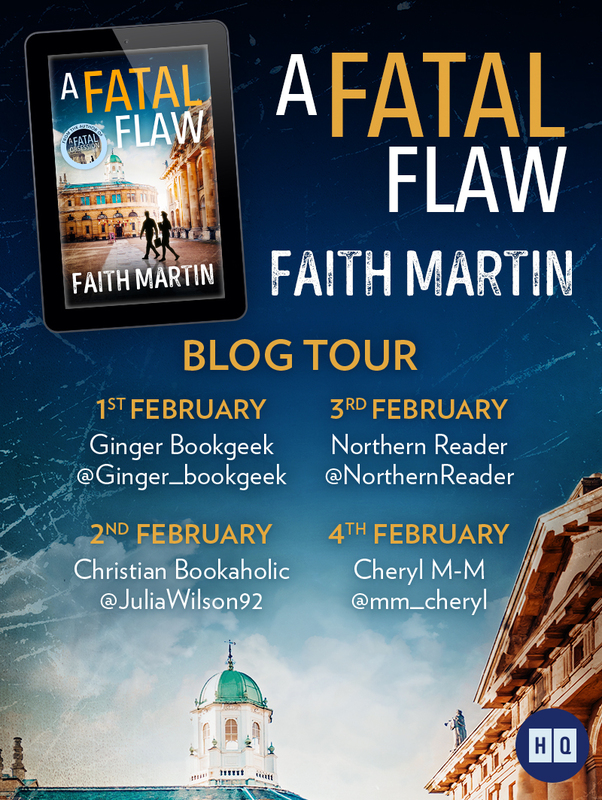 This entry was posted in Blogtour, cosy crime, Crime, HQ Digital UK, HQStories and tagged A Fatal Flaw, Blogtour, Faith Martin, HarperCollins Uk, HQStories, Ryder and Loveday Mystery #3.